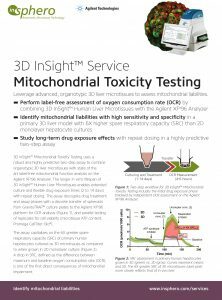 Long-term testing of mitochondrial function and injury is important for evaluating risk of slow-acting mitochondrial toxicants. Drugs that inhibit mitochondrial protein synthesis (some antibiotics), or impede mtDNA replication (some antivirals) can compromise mitochondrial viability over longer time frames (1). 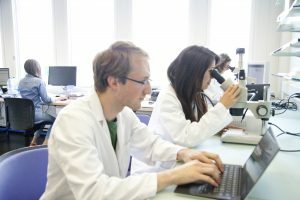 In addition, active metabolism of drugs by liver enzymes, such as cytochrome P450s, has been shown to contribute to mitochondrial toxicity (2). 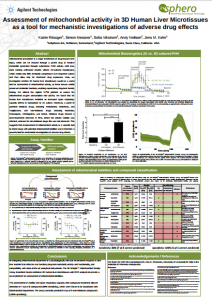 3D InSight™ Liver Microtissues enable long-term compound treatment due to their stable metabolic activity over time. Our 3D liver model exhibits a 6-fold increase in spare respiratory capacity (SRC), compared to an only 1.5-fold increase in 2D PHH) cultures. The significantly higher SRC makes it a valuable parameter by which to evaluate the impact of drugs on tissues. 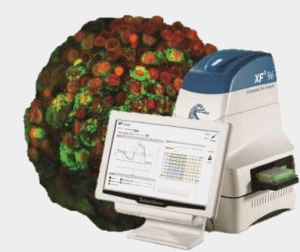 Decoupled treatment and measurement of OCR of individual 3D InSight™ Human Liver Microtissues. 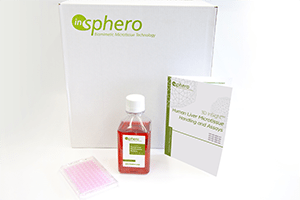 OCR trace over time was recorded using the Seahorse assay for primary human hepatocytes cultured either in 2D or as 3D microtissues. Comparison of basal respiration, maximal respiration and SRC between 2D and 3D. Human Liver Microtissues display a 4-fold greater SRC (6X) than 2D PHH (1.5X). Curves and columns represent means and SD.